NBA Live 19's demo is now available for Xbox One and PlayStation 4. Build your squad and begin your quest to be THE ONE in the official NBA LIVE 19 Demo. NBA LIVE 19 redefines the way you play a basketball game. Play the official NBA LIVE 19 Demo and experience 1v1 Everywhere. Featuring Real Player Motion, control every possession and change the momentum in any game to dominate your opponent. Pursue basketball glory with the freedom to create your path to greatness in the return of THE ONE. Build your squad of superstars, legends, and cultural icons to join your team on courts across the globe in the League, The Street World Tour and your ONE COURT where your customized rule set and line up reign. Defend your court and challenge the Community to be the ONE. The NBA LIVE 19 demo will let you reach a level cap of 20 using Grind Currency (XP). Once you've reached the level cap, you won't be able to earn any additional XP. The level cap is set at 99 in the full game. 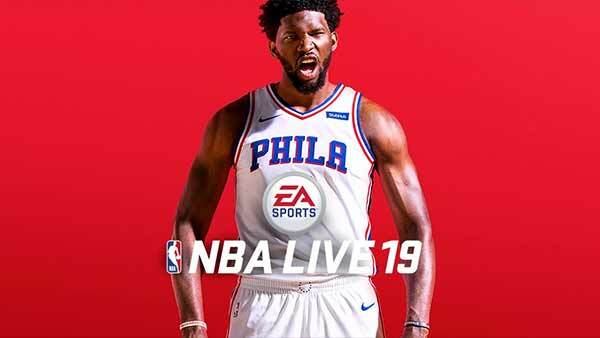 NBA LIVE 19 will be available on Sept. 7, 2018 for the Xbox One and PlayStation 4. For more information on the game, please browse through all Xbox coverage and don't forget to follow us on YouTube, Twitter, Google+, Facebook and Pinterest, for more of the latest Xbox One News & Rumors, Upcoming Xbox One Games, Xbox One Release Dates, Xbox One Gameplay, Videos and Trailers. ID@Xbox Games, Top 50 Xbox One Games, Xbox One X Specifications, Xbox One Native Resolutions and loads more.